We present to you a show reporting on the recent Animal Rights Conference and Vegetarian Summerfest! 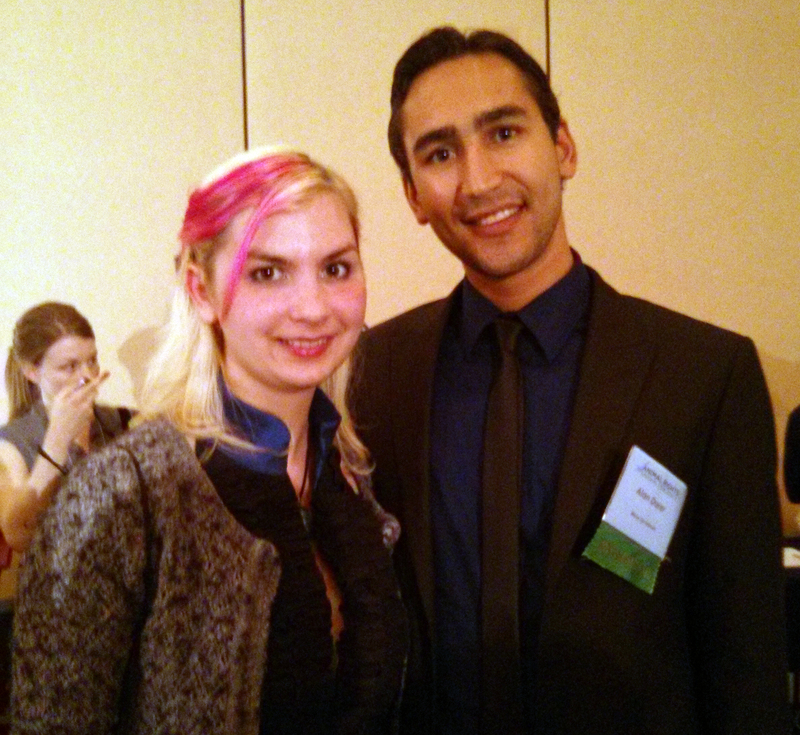 Jenni with Alan Darer from Mercy for Animals at the AR Conference. Both Alison and Jenni attended the annual Animal Rights National Conference this year, held from July 27th-30th in Washington, DC, and they share their thoughts and review of the conference in this segment. 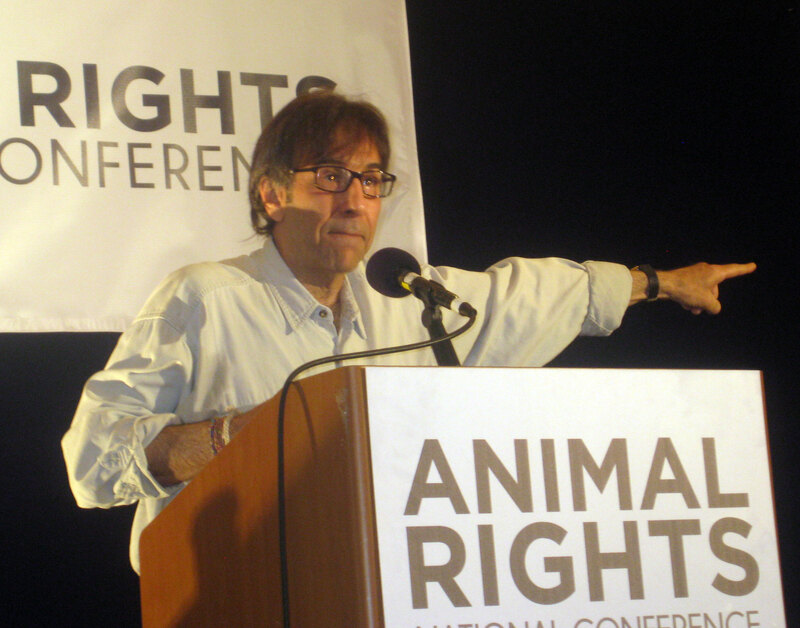 The Animal Rights National Conference is the largest and longest running animal rights gathering, held by FARM (the Farm Animal Rights Movement), and this year’s conference attracted a record of nearly 1100 animal advocates, who came together to meet, share ideas, and become further inspired to do good work for the protection of the animals. You can check out FARM’s official report of this year’s conference, plus the photo gallery, by visiting their website here. Gary Francione and Bruce Friedrich debate: What About Abolition and Welfare? The largest attended presentation at this year’s AR Conference was, without a doubt, the debate between two of the movement’s greatest leaders, who came together in this unique event to present on the the topic of “What About Abolition and Welfare?” Lawyer, professor, author and staunch abolitionist Gary Francione attended the conference for the first time ever and engaged in a debate attended by 500+ conference attendees against Farm Sanctuary’s Senior Director for Strategic Initiatives’ Bruce Friedrich, who spoke in support of welfare reforms for the animals. A descriptive account of what the debate presentation entailed can be read here. Gary Francione led the debate with a 12 minute talk, followed by a 12 minute response by Bruce Friedrich, and then questions came from the floor. A week after the AR Conference, it was Vegetarian Summerfest, just a mere 3 hour drive away, so Alison took the opportunity to attend this enormous vegan and animal rights-themed conference for the first time ever. The 39th annual conference took place from July 3rd-7th in Johnstown, PA, and is organized by the North American Vegetarian Society. This year’s 5 day conference attracted 800 attendees, who took part in attending a myriad of presentations and activities ranging from animal advocacy talks, to cooking demonstrations, to health and wellness workshops by many of the leaders in the community of veganism. Alison gives a review of her first-time experiences at this event also known as “vegan summer camp”, and then also presents several audio clips from just 3 of the dozens of presentations held over the week. The first clip is of Dr. Milton Mills’ talk entitled “Are Humans Designed to Eat Meat?” In this clip, he explains the anatomical make up and utility of the carnivore tooth and jaw structure versus that of an herbivore’s. 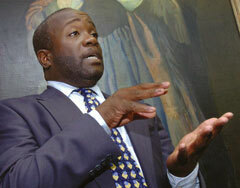 Milton Mills is the Associate Director of Preventative Medicine for the Physicians Committee for Responsible Medicine. 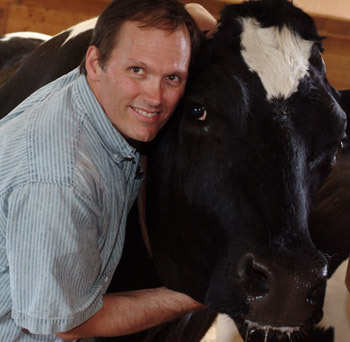 For the second clip, we share a piece from former dairy farmer turned vegan activist Harold Brown’s talk entitled “The Interconnectedness of Life”. In this clip, Harold discusses how killing people and killing animals are actually the same in terms of the psychological effects that they leave, and that we are all on the same playing field, and so should be encouraged to tell our stories to others when advocating on behalf of the animals. Harold Brown is the President of Farm Kind, Ltd., and you may know him from his touching and significant role in the film Peaceable Kingdom: The Journey Home. And the third clip is from Karen Davis’ talk entitled “Moving Beyond the Rhetoric of Apology of Animal Rights to Affirmative Activism”. 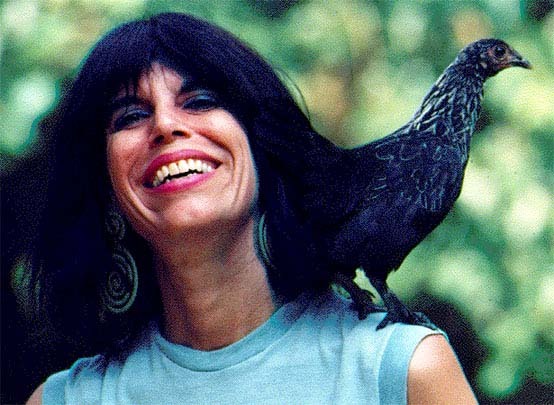 In this piece, longtime animal activist Karen Davis warns against the rhetoric of animal abusers and maintains that confidence is a necessary quality to possess in the face of protecting animals. She also makes the point that we need to focus our resources as best as we can for the work that we choose to do for the animals. Karen Davis is the President and Founder of United Poultry Concerns.